As we are on a lookout for the next speaker talent ready to walk on stage at Nordic Business Forum 2019, we have another source of inspiration for all aspiring speakers! 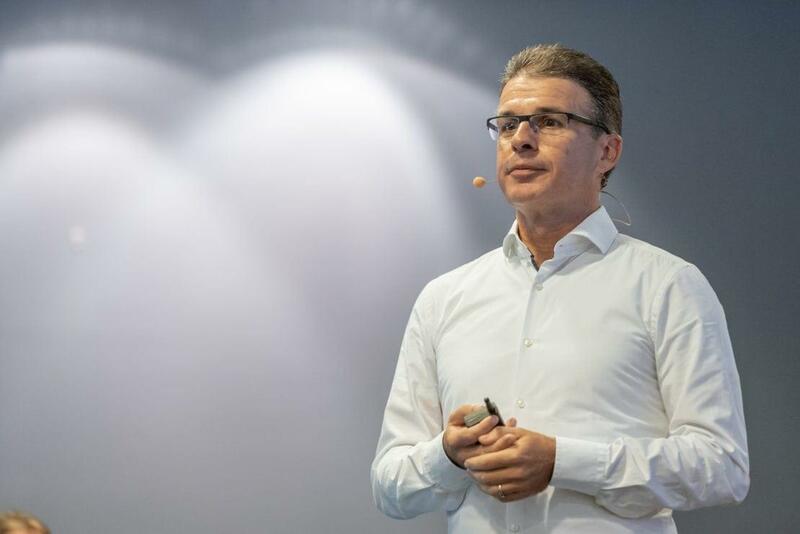 To help you get going with the applications for Speaker Contest 2019, we interviewed Raymond Hofmann, one of the finalists in Speaker Sourcing Contest 2018 with the topic Management (not leadership) as competitive advantage. Nordic Business Forum: Raymond, could you tell us what were the reasons you wanted to participate in the Speaker Sourcing Contest 2018? Raymond Hofmann: I am working on developing a practical tool and method to help leaders radically improve their organisation’s performance. I call it Management Model Design and it really aims to make the practice of management simple, more human and more effective. NBForum: How did you decide the subject of your presentation? RH: Given my objectives, the topic was given. But I had to work out how to create a story that would work for the audience as well as for my purpose. Why would they care? Can I do more than simply entertain them? How to trigger a response? That wasn’t easy. NBForum: Could you tell us a bit about your journey in the Speaker Sourcing Contest? RH: The journey was fantastic, magical almost. When I was selected to present at the Oslo qualifier I was ecstatic. Then I went to Oslo and won, qualifying for the finals in Stockholm. How do you top ecstatic? And it only got better from there. I received the best coaching I’ve ever had. Alf Rehn and Hans-Peter Siefen not only helped me make my presentation much better, they also nurtured my belief that I actually had a shot at winning this thing. Well, I didn’t win, but I’ll keep fond memories of that Stockholm afternoon for a long, long time. NBForum: What did you get out of this experience? RH: More than I had ever hoped for. First, many new friends: fellow contestants, audience members and of course the fantastic Nordic Business Forum team. Second, much more valuable feedback on my idea than I had hoped for at the beginning. And third, quite some inquiries for speaking engagements and even a contract offer from a speaker agency. RH: Yes! First, examine your motivation, be honest. Why do you want to participate? Are you passionate about your cause, do you have objectives that go above and beyond winning the prize? If so, then by all means go for it (and if not, please don’t). Next, really think hard about why your audience should care about your message. Remember this is not about you, your brilliance and your hard work – it’s about how what you have to say is relevant for the audience. And finally, enjoy the ride and immerse yourself in the experience – it was amazing this time and I am sure the Nordic Business Forum team’s intent is to make it even better next time.